April 15th “Wordless Wednesday” – Share a picture or video on your blog! 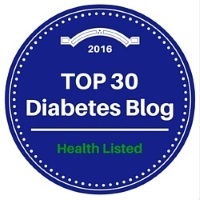 What have we discovered in 2014 about other people living with type 1 diabetes? What else can we learn about type 1 diabetes? How have things they have gone through effected us? That is my question to you, my reader. 2014 was a great year and I definitely feel like I am improving my life, both physically with my diabetes and emotionally. Improving Lives. Curing Type 1 Diabetes! If you haven’t already known, your supposed to turn your clocks back one hour tonight — which means an extra hour of sleep! Most people would be excited for this, but I am not so much. What could that extra hour do to my blood sugar level?